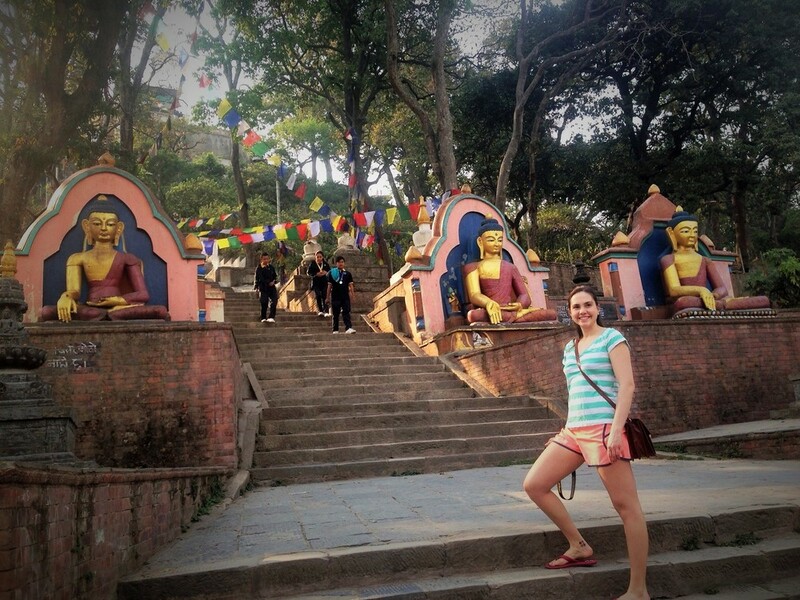 I have had an eventful Easter Holiday in Nepal with my friend Masha, and would like to share some of our moments in this blogpost. 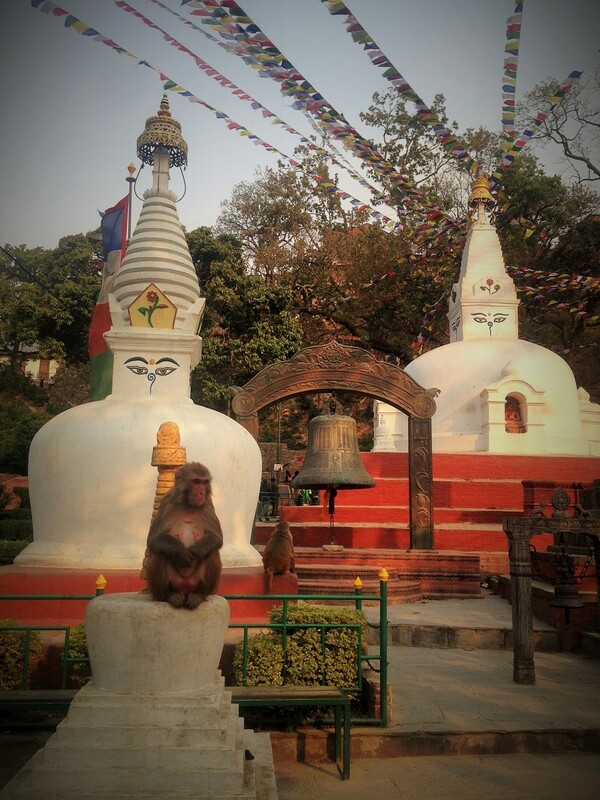 We started with two days in Kathmandu, using the first day to visit the Garden of Dreams and Swayambhunath (Monkey Temple). The next day we celebrated Holi – the Festival of Colors. Holi is a festival celebrating spring and love by blessing each other with color. It is a Hindu festival that originates from the death of the evil demon “Holika”; it is therefore also a celebration of the victory of good over evil. Masha and I were lucky to be invited for lunch at the home of one of my colleagues to start the celebration with his family. 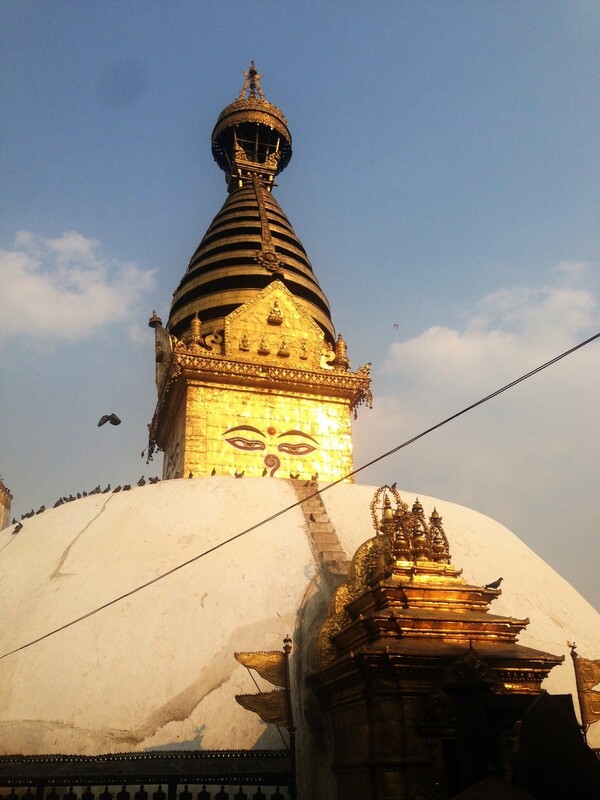 After that, we walked in the middle of the main street in Kathmandu. Here people were everywhere, some playing music, but mostly walking with colors that they put on each other’s faces, t-shirt and body while saying “Happy Holi”. The crowd is the largest, most chaotic I have ever seen and everyone was fair game regarding the color blessings. It was truly an experience for life, but for two Norwegian girls it became overwhelming with all the people and physical contact from strangers so we headed for our Hotel quite quickly. 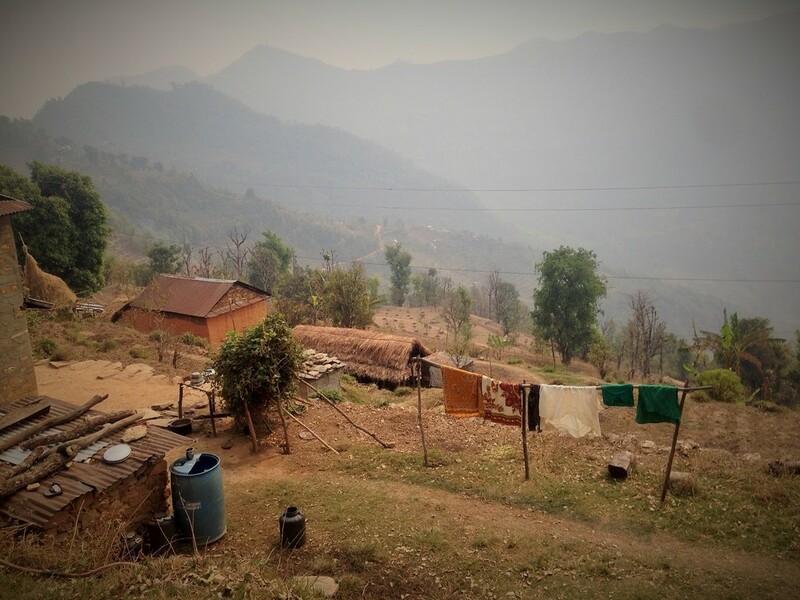 The next part of our trip took place in Tanahun District. This was refreshing after the hectic life of Kathmandu, also considering that Kathmandu is one of the most polluted cities in the world. We went on a yogic trekking visiting two local villages. A yogic trekking meant practicing yoga early in the morning together with a Yoga Guru (teacher) and walking for a couple of hours each day. Unfortunately, the weather was not on our side, the fog hiding the Himalayas from us. Pictures from the first village, Nayagaun. Pictures from the second village, Dagam. 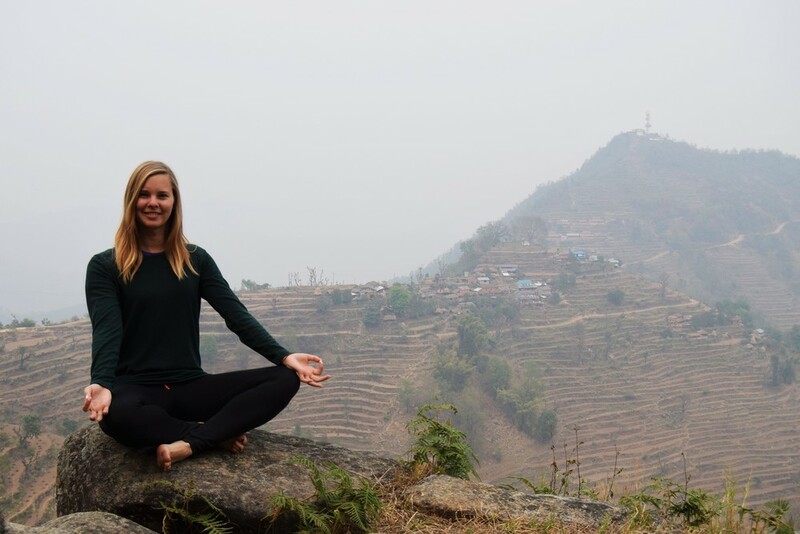 It was a unique experience, staying with the local families and eating local Nepali food all made from their own harvest – as organic as it can get. 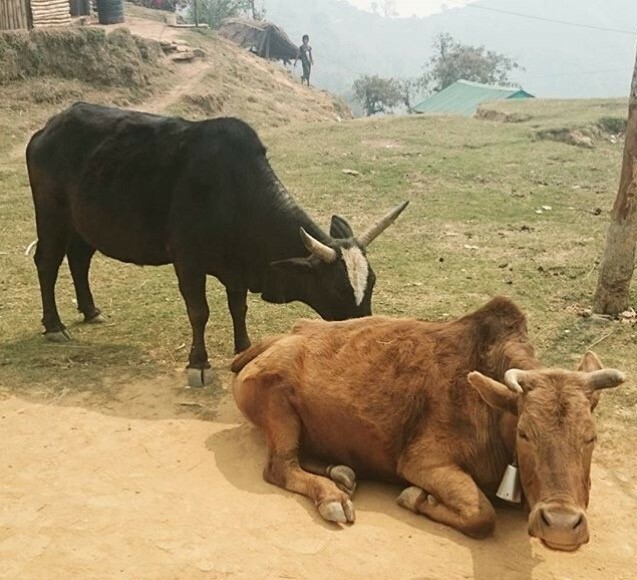 In Nepal most of the farming is done by manual labor and with animals. The women often carry heavy loads on their back with grass for the animals or other items. We saw young girls and boys with a knife in their belt at their back used to cut down grass. No one in the villages had direct access to water in their home. In the second village we stayed in, the closest water tap was a 15 minutes’ walk from the house. When making food they use cooking gas brought from the nearest city, biogas or wood. The way of life follows the animals and the sun. Normal bedtime is around 9 o’clock and you wake up around 5. The national line for electricity is now being cut 13 hours out of 24 each day and there is no generator in the villages as in some places in the larger cities. 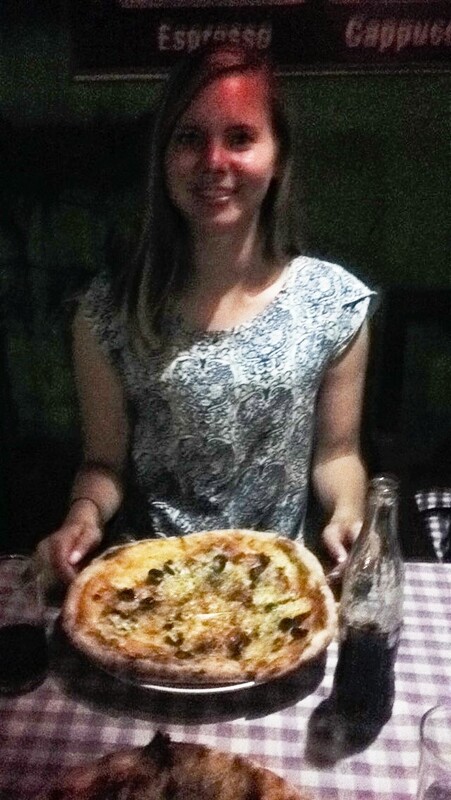 When we came back from trekking, we spent the evening and the next morning in Pokhara; sightseeing, eating pizza and getting a delicious massage, before heading to my hometown Damauli. I have realized how lucky we are here with a local line that only cuts the power 3 hours a day. In Damauli we visited the Red Cross office and went for a long walk around the area followed by homemade dinner and rest. On our way back to Kathmandu, it had finally rained and we were able to see the amazing Himalayas from the bus. We also experienced a very common part of Nepal; traffic jam. Close to Kathmandu, our bus were stuck for almost two hours. When we finally arrived, we ate a good meal and did more sightseeing and shopping before travelling back to our homes the next day.